Welcome to Alabama Hearing Associates, providing audiology services to North Alabama and the Tennessee Valley since 2002. At Alabama Hearing Associates, we realize that the idea of hearing loss and purchasing hearing aids can be overwhelming. There are many emotions involved and uncertainties about hearing loss and hearing healthcare. That is why we have developed this website for you, the patient. At Alabama Hearing Associates, we feel that an Educated Patient is our BEST patient. Discover what you need to know before even considering buying a hearing aid by clicking the button below. It is important for you to have the information you deserve. 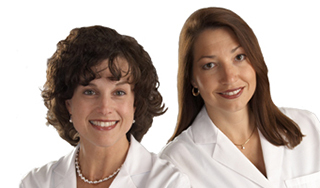 Audiologists, Jan Liles and Susan Sheehy, opened the doors of Alabama Hearing Associates on January 14, 2002. After 10 years of working in ENT offices, rushing patients through the process of purchasing hearing aids, we became convinced that there had to be a way to make a living while putting the needs of people first. Through much prayer and hard work, we developed a business plan for a privately owned audiology clinic committed to exceptional customer service. We focus on the specific communication needs of each patient and develop a personalized hearing solution to meet as many of those needs as possible. Our primary concern is helping patients to hear their very best through education and proper expectations. Patient satisfaction is the key to our success, and we are grateful for the support and loyalty of our patients!